The Church in Pattingham with Patshull relies on the gifts and donations it receives to carry on its mission in the Parish and beyond. Details about the church’s finances can be found here. There are a number of ways in which you can give to the church. Many people find it helpful to decide how much they wish to give per week or month rather than simply giving something when they attend church. For these people a system which helps them to give regularly, or put the moneyaside regularly, helps them. Of course the easiest way is simply to put a gift in the collection when you attend church. However there are a number of other options which have advantages both for the church and the giver. For those who pay income tax or capital gains tax the church can claim from the government an extra 25% if their giving is gift aided. If they pay higher rate tax (40% or 45%) then their own tax bill will also be reduced by at least 25% of the amount they gave if the relevant part of their tax return is completed. These are the main methods of planned and/or gift aided giving which we operate. Regular gift aided payments by direct debit through the scheme which is operated by the diocese. More details can be found in this leaflet, which includes the form. 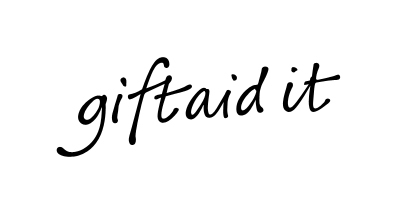 Regular payments which may, but need not, be gift aided. For a form please contact the Gift Aid Secretary or the Treasurer. Giving through a supply of numbered envelopes which may, but need not, be gift aided. It does not need to be a regular or specific amount. For a supply of envelopes please contact the Gift Aid Secretary. One off, occasional or regular giving which is gift aided using the green envelopes available in church. Any enquiries should be addressed to the Gift Aid Secretary, David Challinor, or the Treasurer, Clive Pendrell, whose details are on the contacts page.